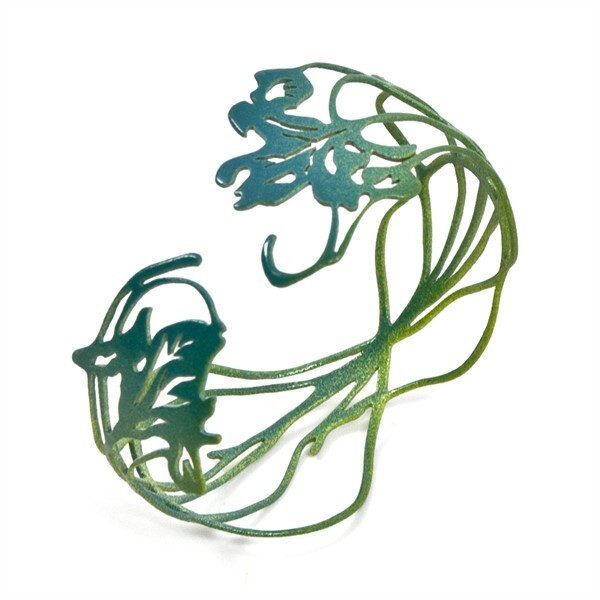 The Still Life collection explores nature as a subject for jewelry. The growth patterns featured in the work draw inspiration from the botanical prints of the Hortus Eystettensis, a 15th century codex of the Garden of Eichstatt. 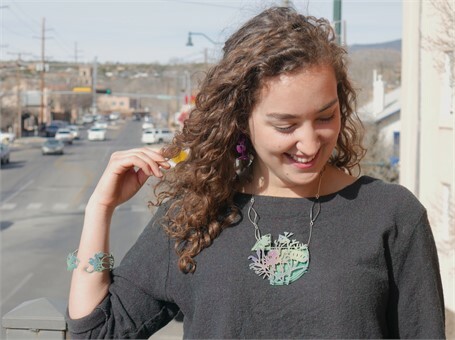 My jewelry arrangements, similar to the prints, are composed with aesthetic considerations above botanical taxonomy. The collection is reflective upon natural aspects that are skewed by human intervention. The static jewelry compositions appear in full bloom, linked to parallel perceptions of what is natural and what is artificial in our surroundings. Each piece is made from hand pierced brass sheets. The surfaces are powder coated with layers of bold colors reminiscent of urban culture.